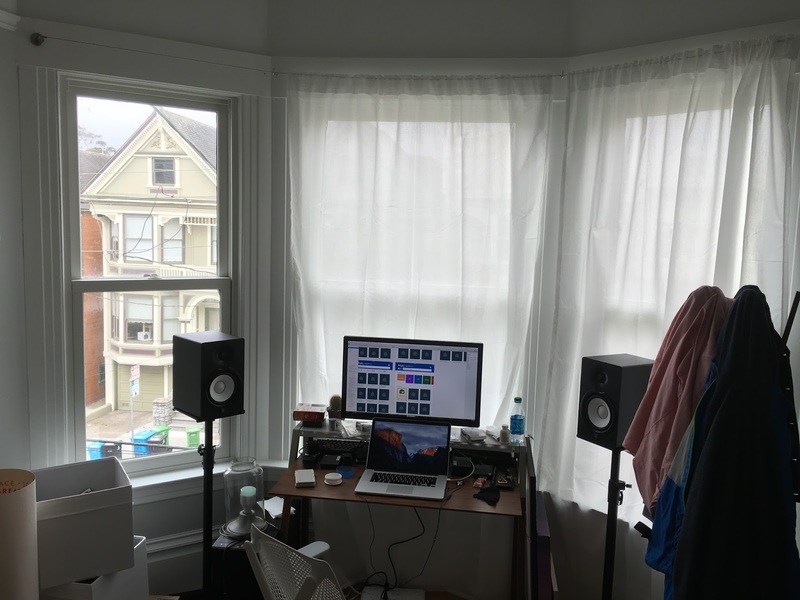 My eldest son lives in San Francisco and recently moved into a new apartment. 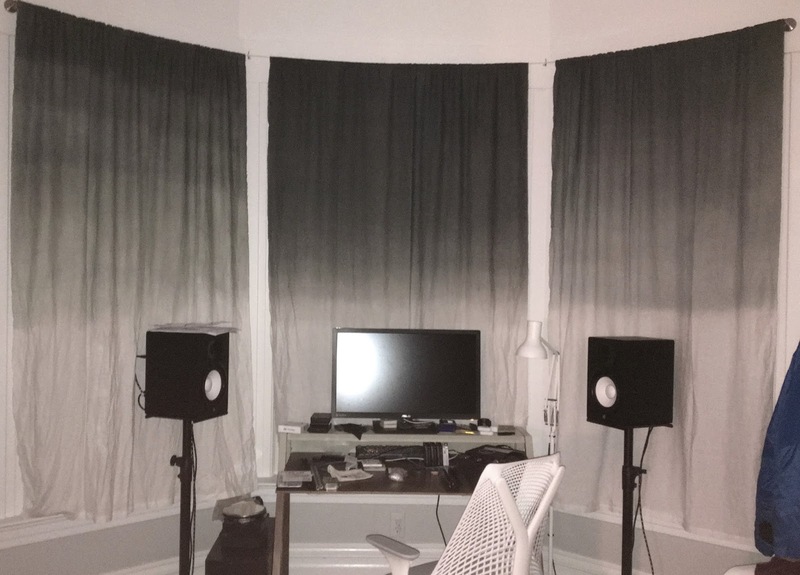 His room is quite large and has a beautiful bay window where he has his desk situated. He enjoys this desk placement with lots of sunlight flooding him when he is working and a nice view out the window. At certain times of the day, the sun shines directly into his eyes, making working at his computer a bit difficult. He attempted to remedy this problem by putting up some sheers that would block the sun, but still allow some light into the room. Unfortunately, the sun was still too bright in the late afternoon. So, when the sheers did not solve his problem, he sought another solution. His idea was to find some Ombre dyed sheers that were dark grey on the top and transitioning to white on the bottom. Due to the size of the window, the only ones that he could find were nearly $600. Before he purchased these, he sent me a message to seek my advice about whether this was a good idea. Having recently tried out ombre dyeing of scarves, I thought that the price might be a bit high and offered to make some sheers for him. Support rods – I used two camera tripods with a board attached to the top. Question – does a mixed of two different black dyes keep the gray color better? Lesson learned – when working outdoors, monitor the wind to make sure that the fabric does not blow down and land on the dirty driveway, and Jet Black dye leaves a reddish tint to the un-dyed fabric. 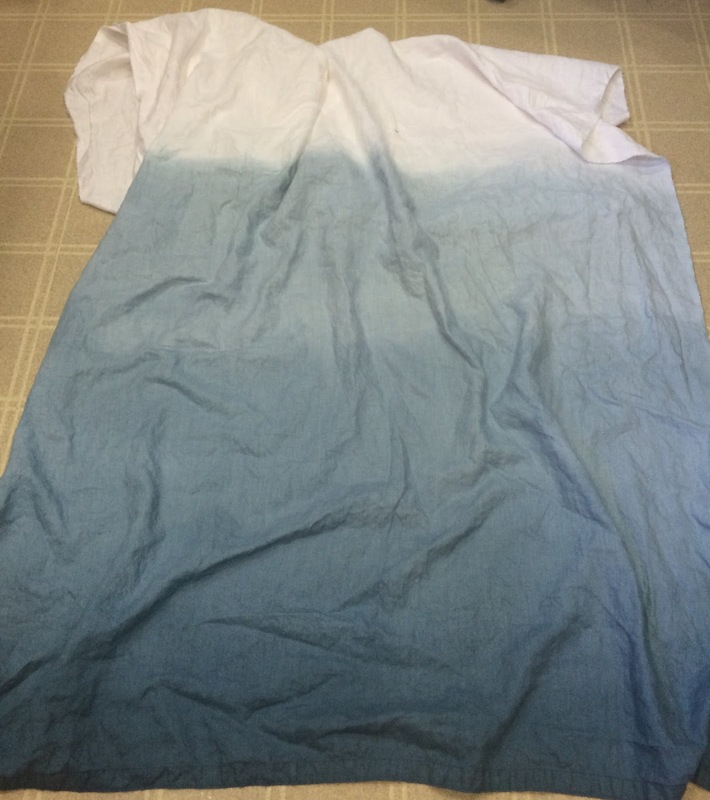 Lesson learned – spraying caused distinct lines to be visible on the fabric, but the cold water did help slightly. Question – does Retayne help set the gray color better? Lesson learned – this is the center panel in the photo above and was by far the best result! !